The Dr. Shezad Malik Law Firm is based in Fort Worth and Dallas, Texas. We are a boutique Texas law firm, and we have a focused mission statement that projects the firm's clear goals. When the client first approaches our firm for legal representation, we feel that the client’s problems are our problems. Our job is to put the client at ease, thoroughly investigate their claim or defense, formulate a plan of action and to execute it effectively. Our approach is to treat each client as though they are our only client. We are committed to providing effective solutions for their legal problems; it is this one on one personalized approach, which focuses on optimum results that separates us from the other law firms. We feel confident that when the client visits with us we can help them navigate the legal maze and try to resolve their legal problem. Please call us now toll free at 888-210-9693, 214-390-3189 for further information. We do offer a free initial telephonic evaluation to assess the legal issues and then if the client desires we investigate further with a case conference. 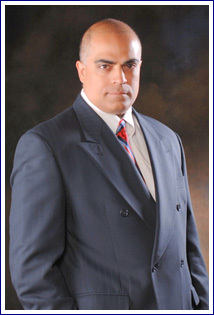 The Dr. Shezad Malik Law Firm is a full-service personal injury law firm handling a wide variety of claims. Our lawyers have extensive experience in the areas of: sexual abuse, tractor trailer and commercial vehicle litigation, medical malpractice, wrongful death, serious auto accidents, bus accidents, dog bites, product liability, brain/head injuries, burn and electrical injuries, spinal cord injuries, premises liability, negligent security, and many other types of personal injury cases. Call us at 214-390-3189 or toll free 888-210-9693 or send us an e-mail to schedule a free initial consultation about a car accident, premises liability claim or any other personal injury case. We handle all cases on a contingency basis, which means you pay nothing unless we accomplish our mission of getting justice for you. Our law firm’s principal office is in Dallas and we have offices in Fort Worth, Texas, but we represent people across Texas, for Personal Injury and Wrongful Death, in cities and areas including the following: Abilene, Albany, Alice, Alpine, Amarillo, Angleton, Arlington, Austin, Bay City, Baytown, Beaumont, Benavides, Big Spring, Boerne, Bonham, Bowie, Brazoria, Brownsville, Brownwood, Bryan, Buffalo, Carthage, Centerville, Childress, Clarksville, Cleburne, College Station, Commerce, Conroe, Corpus Christi, Corsicana, Crockett, Daingerfield, Dalhart, Dallas, Decatur, Del Rio, Denton, DFW Metroplex, Dumas, Eagle Pass, Eastland, Edinburg, El Paso, Emory, Ennis, Fairfield, Falfurrias, Fort Stockton, Fort Worth, Freer, Gainesville, Galveston, Garland, Gatesville, Gilmer, Granbury, Grapevine, Greenville, Groom, Harlingen, Henderson, Hillsboro, Houston, Huntsville, Irving, Jacksboro, Jasper, Kaufman, Kerrville, Killeen, Kingsville, Kingwood, Laredo, Liberty, Livingston, Llano, Longview, Lorena, Lubbock, Lufkin, Mansfield, Marathon, Marshall, McAllen, Mesquite, Midland, Mineola, Mineral Wells, Mount Pleasant, Mount Vernon, Nacogdoches, New Braunfels, Odessa, Orange, Ozona, Palestine, Pampa, Paris, Pasadena, Pearland, Pecos, Pharr, Plainview, Port Arthur, Quinlan, Raymondville, Richland, Rio Grande City, Rio Grande Valley, Sanford, Sonora, San Angelo, San Antonio, San Marcos, Seguin, Shamrock, Sheffield, Sherman, Spring, Stephenville, Sulphur Springs, Sweetwater, Tawakoni, Temple, Terrell, Texarkana, Texas City, Thurber, Tulia, Tyler, Van Horn, Vernon, Victoria, Waco, Waxahachie, Weatherford, Wharton, Whitesboro, Whitewright, Wichita Falls, Wills Point, The Woodlands, and Woodville, Texas.